These types differ in terms of (1) service levels, (2) quality and (3) pricing. We will use a case study to compare the price and services offered by local and international movers respectively. Read on and you will have a clearer idea of how to choose. Low cost movers are typically new in the market, freelancers or not commonly heard in the market. They usually advertise themselves offering many perks such as free boxes and very low prices. There are certain risks of using their low cost moving service and we will not be discussing them here. To engage movers for your residential or office move means that you will entrust them with your valuables for safe handling and delivery. Clear breakdown in moving quotation. With these factors into mind, let's review some moving companies in Singapore. What is the best local mover in 2018? Who is the best international mover? Some familiar household names of affordable local movers in Singapore are Shalom Movers, KNT Movers and Soon Seng Transport. If you are not expecting a five-star intimate customer service, they are good choices to provide a standard moving service. According to SGHomeNeeds, the average spend on housemoving (without packing service) for 3-5 room apartments/condo ranges from $500-$1500 and we believe that it shouldn't fall outside of this range. 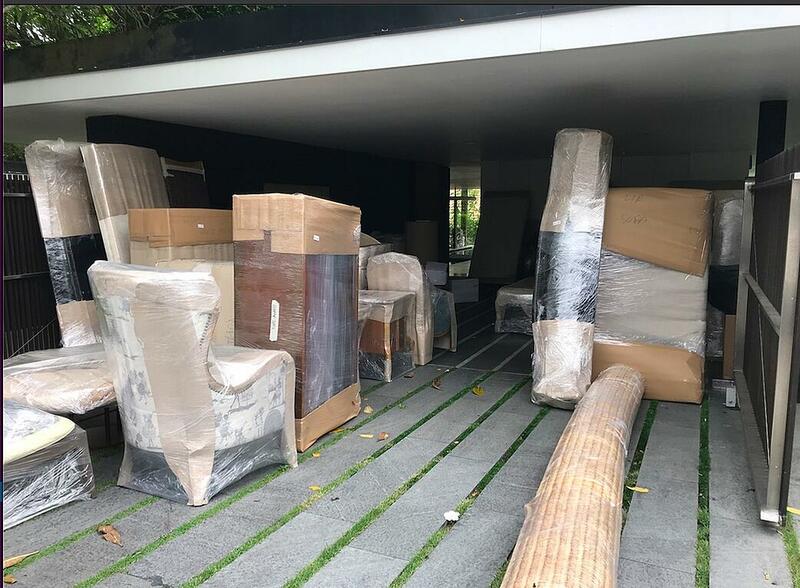 To give a fair comparison of these three local movers, the study of the services and the prices are based on the quotation for a three-room HDB apartment in Jurong West Singapore, no packing required. All three movers do not offer complementary packing service (optional at additional cost). All gave roughly similar prices, detailed their inclusions and exclusions of their move quote and quantity of packing materials. Bottom line: quotation has be clear of what the basic services provided so you will not be surprised with hidden cost. Shalom Movers gave the lowest quote at $883 (GST inclusive) among the three which came as a surprised at it has been known as the more 'branded' company. Lesson: Quotation are often subjective to the assessor, getting a few quotes from a few different companies increases your chance for a good deal. KNT Movers gave the highest quote at $980 (GST exempted). From what we understand from the assessor, their movers have a good percentage of foreigners. As foreigners are hired by companies to usually lower their operating cost, we were expecting a better price. It also does raise the question if the movers were hired for quality or to reduce cost. Nevertheless, KNT Movers also offered more free cartons for use and better-dressed mover personnel (in standard uniforms). Soon Seng quoted $950 (GST exempted) for the same apartment. Among these 3 companies, Shalom emerges as the winner in terms of price for the more established household name in Singapore. For the lowest price, we can expect a good service based on their reputation. Do take note however that we might just be this lucky once. Tip 1: As cost structure for moving companies are usually the same, (labour, material and vehicle cost), choosing the more reputable company might be a better choice (they have a reputation to keep) if it cost the same or even just a little more. Tip 2: Unless the more reputable company cost significantly more, (~20-30%), you might want to give the other companies a chance as the skill of labour shouldn’t variate too much from what’s expected to cause any concern. Tip 3: There is usually room for price negotiations with local movers. You are advised to get several quotes and ask as many questions as possible to find the best deal. As this is a fairly straightforward move, it is easy to determine the best choice by this formula: Price/Perceive Quality. With ample experience in valet storage service, Spaceship has launched her moving service. We aim to be the best local mover in Singapore that gives quality and great price. You are not an expert in moving but we are. We will offer insider advice in moving homes and ensure your move is affordable, smooth and hassle-free. 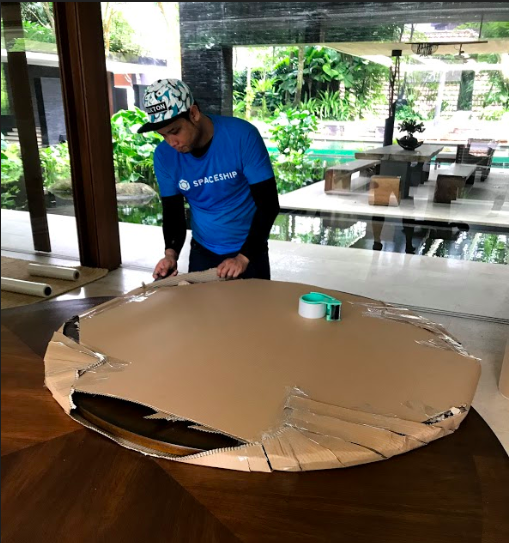 We choose to get quotations from CollinsMovers, CYC Movers and Asian Tigers are three premium movers in Singapore that provide international moving services. We have compared these international movers in Singapore based on a one-bedroom studio apartment. Some major items to be moved include a 2-seater sofa, a queen-size bed, a washer, office chair and desk and a TV. All three movers help pack odd items, but charge packing service for normal items like personal effects. Asian Tigers Relocation gave the lowest quote at $963 (incl. GST). Collin's Movers gave the highest quote among the three at $1262 (incl. GST) with more fancy services. What makes Collin's Movers stand out from the rest is the provision of dedicated supervisor on the spot to address any unexpected issues and answer any concerns from the customer immediately. This creates a wonderful customer experience. Besides, Collin's Movers uses GPS tracking and hydraulic tail gate system to track your items and make moving more efficient. Although CYC Movers charges slightly more than Asian Tigers at $1070 (incl. GST) for enhanced service. It thoughtfully provides ice boxes for frozen items, clothes racks for ironed clothes and stronger gripper tapes to seal boxes tighter. International movers have the bells and whistles to for a 5-star moving experience at higher price. A mid-tier mover for for this house would only cost between $350-$600. Usually there is also smaller room for negotiation with international movers. However, you can get multiple quotes from several companies to find the service you like. A little homework makes all the difference to your office move or a house move. I hope the comparison above have offered you some insights of moving service in Singapore. We strive to make your move easy at a reasonable price ever. Guaranteed!